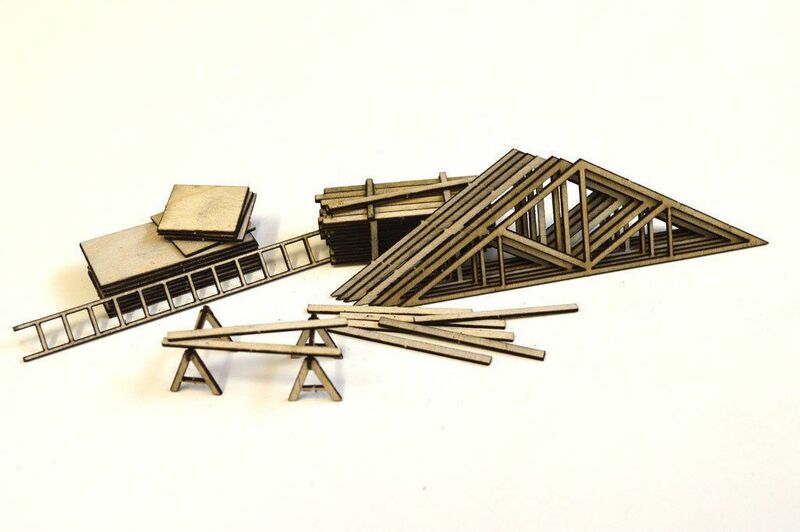 A pack of laser cut plywood accessories suitable for detailing HO / 1:87 scale building sites & timber yards and other scenes. Very easy to use and requiring minimal assembly. This pack contains a varied selection of accessories including 20ft Roof Trusses, Ladders, Sawhorses / Trestles, Planks, Timber Stacks & Plywood sheets. Please see list below for full details. 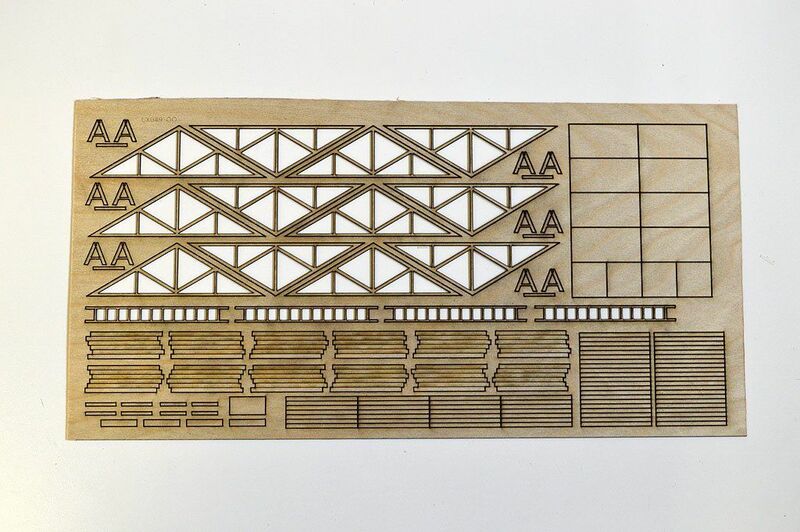 Laser Cut 0.8mm Birch Ply - You only need a knife to gently release the parts from the sheet, all cutting is done for you! Very easy to assemble - just a few minutes to assemble the sawing horses and timber stack. Ideal for detailing building sites, timber yards or other industrial scenes. Sheet Dimensions: 150mm x 300mm approx. Well detailed and will bring to life not only the building site on the layout but will possibly lead to a Builder's Merchant appearing shortly.